This project looks exactly like the Hampton Inn in Sobro Nashville. It will be six stories and sit diagonally across 4th Street from the Children's Discovery Center. It will replace an old house that is the current history center HQ. They will move to the lower floors of a 9-11 story building that will rise on the corner of 1st and Market (near the Market Street Bridge, I guess across from TGI Friday's downtown). 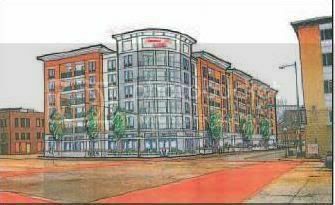 It sounds like this hotel will have a presence on the full block from Chestnut through to Market (on the back). There will be a Jack's Alley type section of retail behind the current retail block on Market. That will be renovated. Anyway, it sounds very nice, and $20 million is a nice chunk of change in one project for Chatty. Here's is yet another great new project for Chattanooga. This project is smaller in scale than was rumored earlier, but will be a great addition nonetheless. There has been a lot of speculation about the property at 1st and Market as well. Hopefully, this means that the project there will materialize soon. I really look forward to details on that project as well. The link has not worked for me. It just freezes up. Maybe you can post a rendering of this one. 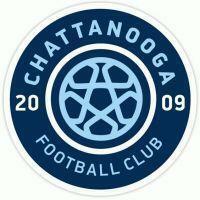 I think it will be a great addition for Chattanooga. You are right about it being a copy of the one in Nashville and I think the one in Nashville is a copy of one on Memphis. They sure do like the design. I hope they do more to the lobby than the one in Nashville as it is pretty plain IMO. But congrats to Chattanooga. Glad to see more development. Financing has finally been approved. Work will begin soon. Due to construction costs being down Vision Hospitality has decided on Platinum LEED Certification. Hankster...what have you heard about first and Market?? ?